“Clock Boy” Ahmed Mohamed landed on TIME Magazine’s 30 Most Influential Teens of 2015. The publication announced this year’s crop of teen wonders with the 14-year-old among sports dynamos, up-and-coming Hollywood stars, kids of the rich and famous, young entrepreneurs, and a Nobel prize winning girls’ education activist who survived being shot by the Taliban. 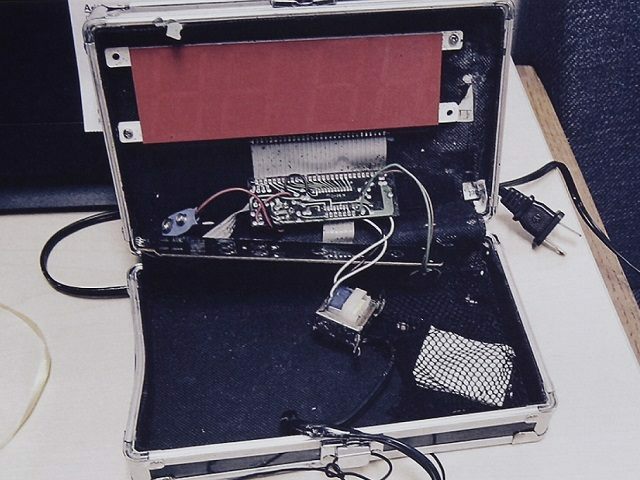 Mohamed is the Irving, Texas student arrested and suspended from high school on Sept. 14 after bringing a homemade suitcase clock initially seen as a possible hoax bomb. TIME says they determine their annual lists by considering accolades across numerous fields, global impact through social media and overall ability to drive news. It appears he made the list for the international noise created by the family claiming Islamophobia and bigotry as behind his highly publicized woes despite “safe school” zero tolerance policies in public schools. The Texas teen turned Qatari clock kid did, in fact, turn down the esteemed MIT for the Muslim Brotherhood affiliated Qatar Foundation and their Education City. Although not mentioned in TIME, Mohamed is also known for his Saudi funded Mecca pilgrimage, a visit with genocidal Sudanese Islamic autocrat Bashir, a promo video appearance with Hamas supporter Nihad Awad, also the co-founder of the Council of American Islamic Relations (CAIR), an organization charged as an unindicted co-conspirator in the largest terrorism-financing case in U.S history, the Holy Land Foundation trial. The clockmaker was also honored at CAIR’s Oct. 17 Virginia-held banquet. Mohamed shares this year’s honors with First Daughter Malia Obama, 17, dubbed a cultural icon; celebrity kids Jaden Smith, Bindi Irwin, Kylie and Kendall Jenner; Vine sensations Lele Pons and Shawn Mendes; 15-year-old transgender Jazz Jennings, who has been living as a girl since age five; and the youngest Nobel Prize winner, Pakistani girls’ education activist Malala Yousafzai, 18, who survived being shot by the Taliban. A few more among the 30 winners are a bow tie-making entrepreneur , the world’s youngest snowboarder, a teen restauranteur, a few Hollywood actresses, a soccer star, a Brazilian libertarian, a Chinese revolutionary, a rapper, a video game reviewer, a venture capitalist, and a 17-year-old high school student who invented a new way to test for the Ebola vaccine. Mohamed recently reunited with his confusing-looking metal suitcase timepiece, a 110 volt mass of circuitry and wires from a commercially dissembled clock. It sat at the Irving Police Department for over a month because no one in the Mohamed family picked it up, despite officer requests. On Oct. 23, Mohamed family attorney Reggie London came and got it, Irving PD spokesman James McLellan told Breitbart Texas. The “influential” teen and his 9/11 “Truther” Sudanese father, however, still have not signed a release waiver to allow the school district to tell their side of the “clock boy” story.